A beautiful rustic hand painted personalised children's personalised door plaque. 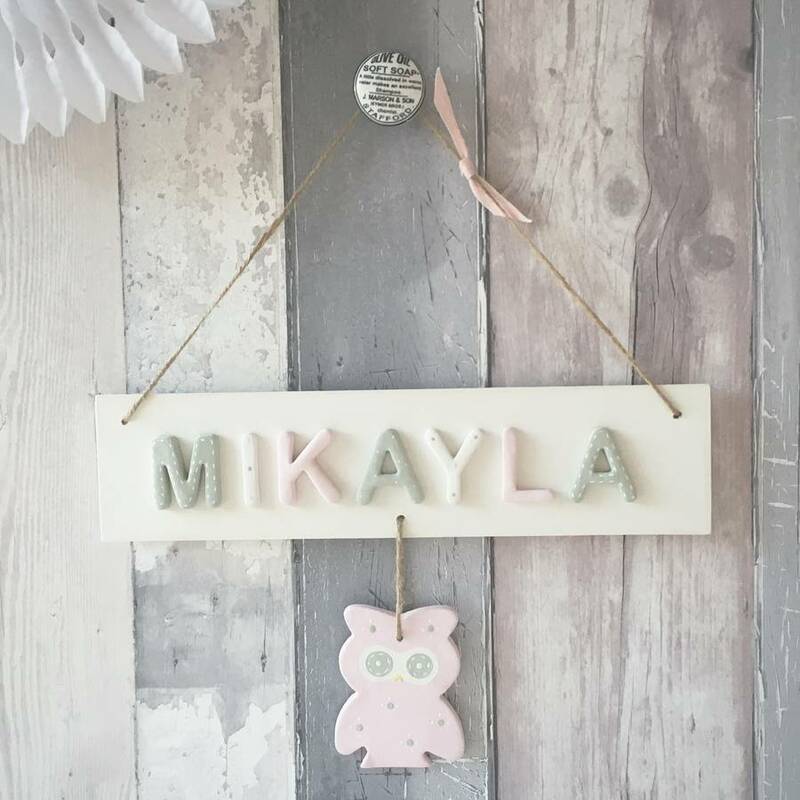 Beautifully personalised with ceramic letters and finished with a hanging owl. This pretty children's wooden personalised door sing makes a truly unique gift, perfect for a new baby, Christening, Christmas or birthday. The rustic background and hanging duck egg blue floral heart will suit a child of any age and hung on a wall or door it will coordinate well with most bedroom decor. Each sign is carefully wrapped in tissue paper and washi tape, packed in bubble wrap and a postage box. 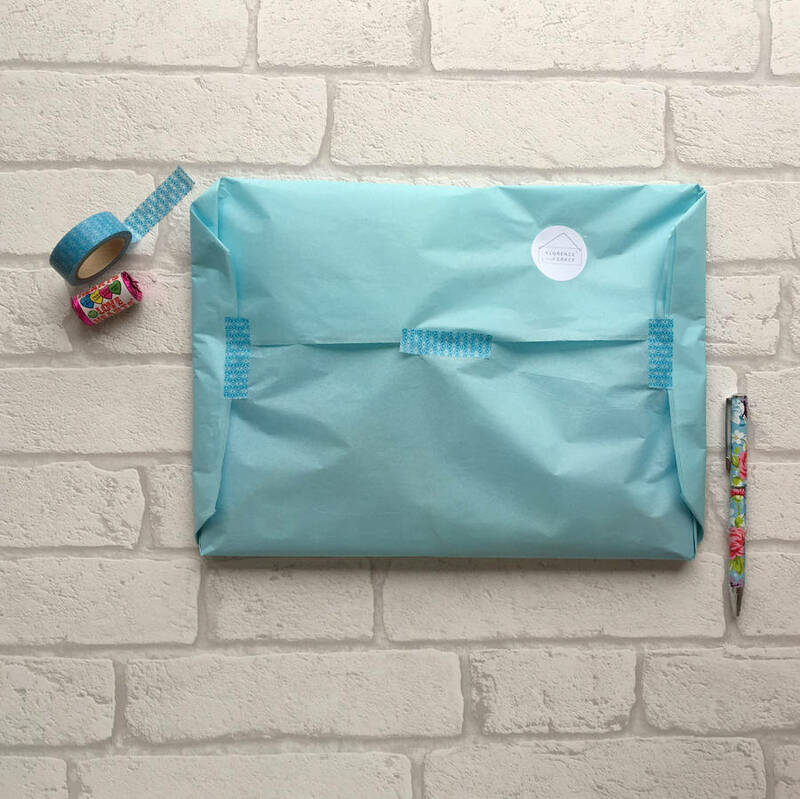 A ready made gift, perfect for sending directly to the lucky recipient. All my personalised signs are handmade by myself in my studio in the Heart of the Yorkshire Dales. 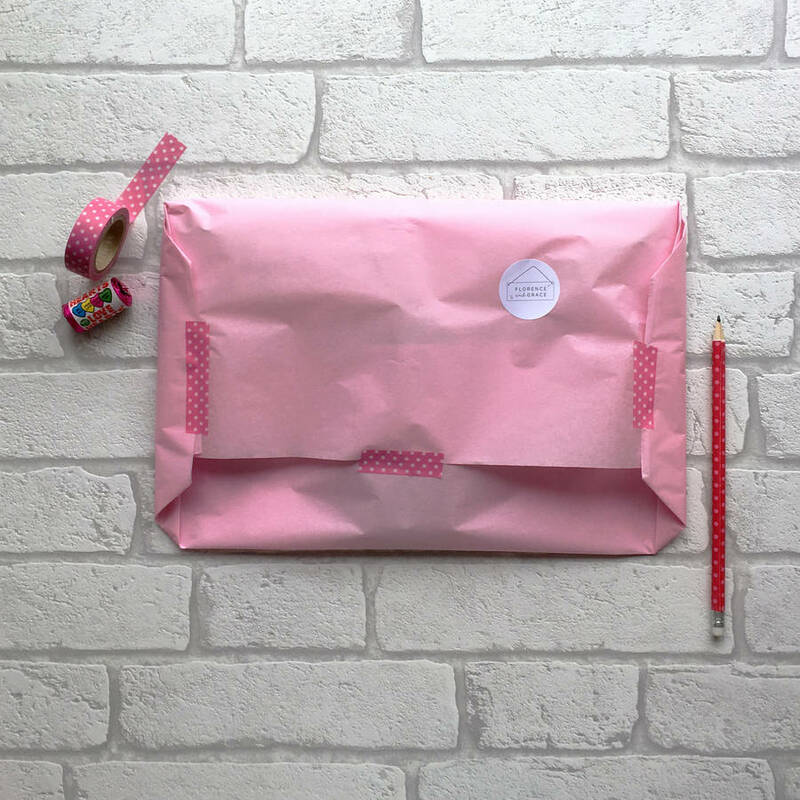 All materials and packaging are sourced to make the sign as eco friendly as possible so not only will your gift be pretty it is kind to the environment too. Please note this sign is not suitable for outdoor use. This product is dispatched to you by Florence and Grace.